It’s generally common knowledge that air conditioning systems are meant to keep the home cool from within. 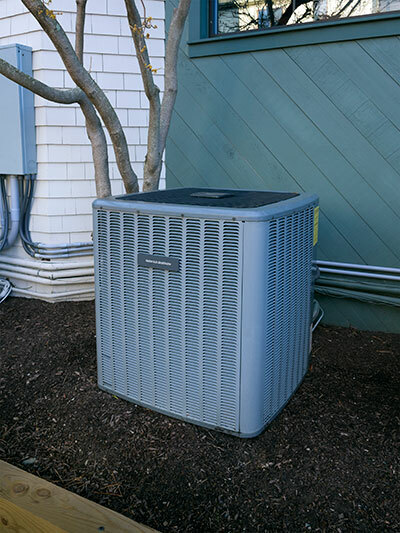 As your air conditioner gives off cool air, it moves towards the warm areas and eventually the entire area becomes cool, however, this process can often take a little bit of time. At Boerne Air Conditioning Experts, we’ve come across a variety of individuals who believe that they can cool an area by using alternative techniques. They turn on the air conditioner and open the windows to cool the room faster. One may come across this application of air conditioners quite often. There are many people who believe that this method is efficient. The theory behind leaving the windows open is that the air conditioner will cool the room and the windows will let in fresh air. But this cannot be further away from the truth. Our team highly recommends that you close all windows and doors when the air conditioner is turned on. This will keep the cool air inside the room and keep the temperature moderate. In addition to cooling efficiency, leaving the windows open will also put stress on the air conditioner. This is because the open windows let warm air inside. This extra stress may cause the air conditioner to become faulty prematurely. In addition to consciously making the decision to ensure that your windows remain closed while your air conditioner is running, you should also be aware of potential window leaks. When we say that the room should be “leak-proof,” we mean that warm air from the outside should not come in. To ensure your room is “leak-proof,” make sure that the doors and windows are closed. Check for small spaces under or on the side of the door, and Check near the windowsill for any gaps in the panels that can let cool air out and warm air in. Air conditioners have an automatic system, so when you set the cooling level to a specific temperature, the air conditioner starts giving off cool air. It’s also important to be aware that thermostat, or the temperature monitor, in the AC system constantly keeps a check on the room temperature. As soon as the room temperature is up to the level that was pre-entered or programmed, the AC system will turn itself off. As soon as the temperature drops, it will turn on again. This is a feature designed to optimize the AC's performance while providing the cooling you desire. When the temperature in the room reaches the preset level, the AC system turns off to make sure that the room is not getting too cold. This keeps the users comfortable. Otherwise, the AC system would make the room uncomfortably cold. All air conditioners, regardless of the type, have this feature. You can enter a temperature level and the unit will maintain it. Another reason AC systems are designed in a way that they turn off automatically is to conserve power. If an air conditioning unit does not turn off, it will run continuously and spike up your energy bill. If an air conditioner is running continuously or excessively, your unit is much more likely to malfunction. Your AC system will also struggle to maintain a specific temperature if there is warm air being let into the room. It will work extra hard to maintain its temperature, which in turn will cause your system to consume extra energy as it works harder. 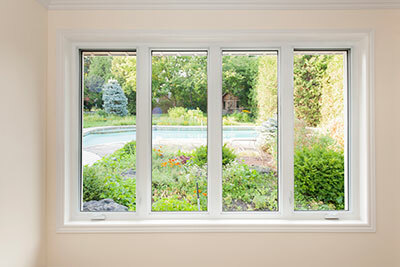 There are many other ways that will help keep your home cool in addition to ensuring that your windows remain closed. One thing you should do on a regular basis is to keep your curtains and blinds drawn, particularly during certain times of the day when the temperature gets extra hot. This will keep the sunlight away from your room, which will help contribute to the home remaining cool and maintaining its temperature. Another option is to install window tints, in addition to using your curtains or blinds, to provide extra protection from the sun. Last but not least, you should inspect the insulation of your home and replace it if needed. Windows and doors are not the only parts of your home that absorb heat. Heat is also absorbed through the walls, roof, and the floor. When you turn the air conditioner on, the heat from the home will be transferred to the room. This makes the AC work harder and the cooling ineffective, and the best way to resolve this issue is insulation. For additional information on the affects of your windows and other parts of your home on the efficiency of your air conditioning system, our team at Boerne Air Conditioning Experts is happy to answer any and all questions.